Simply fill out this form below and click the submit button. We will get your message and get right back with you. Please put your phone number in the message and we will call you as soon as we can! We value your business! Want a faster response? Give us a call at 888-632-0092 now! 6 SIMPLE STEPS TO GETTING STARTED! JNWapp is our award winning service dispatch app that techs use when they are dispatched to a site for service. Dispatch information, important access information, mapping with directions to the site, and uploading important documents and pictures are done directly inside JNWapp®. With only 6 simply steps you are ready to go!, see for yourself! THATS IT! NOW YOU WONT HAVE TO LOG IN EACH TIME YOU OPEN THE APP AND YOU ARE READY TO GO! 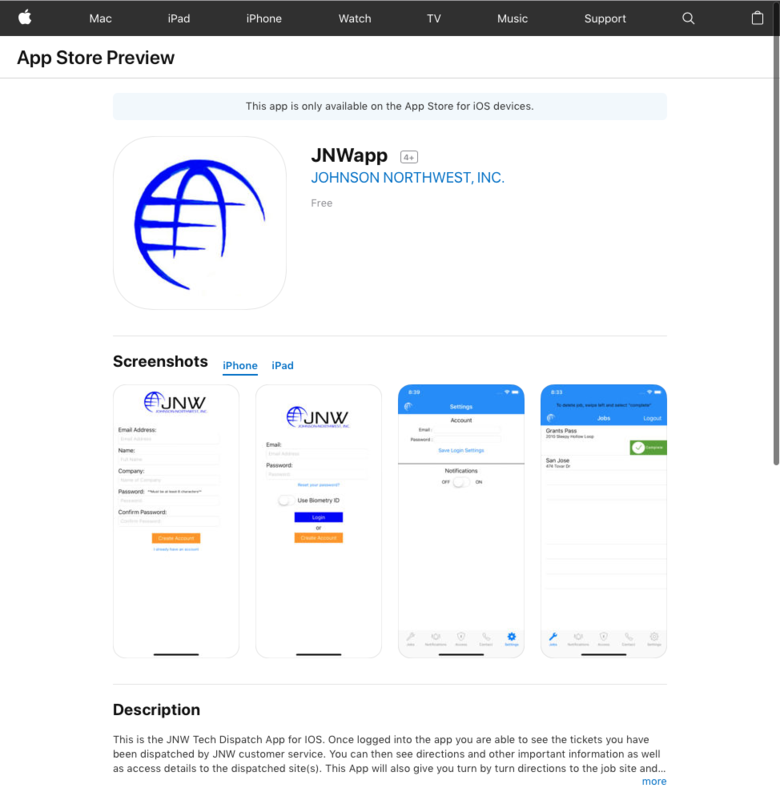 THANK YOU FOR USING JNWapp®! Once you are logged in you can get directions, find out important access information, and upload images directly to JNW customer service right from the app! Lets get going! Here are a few tips and tricks! LOCATE THE SITE ON MAPS AND GET DIRECTIONS TO THE SITE IN A SINGLE CLICK!